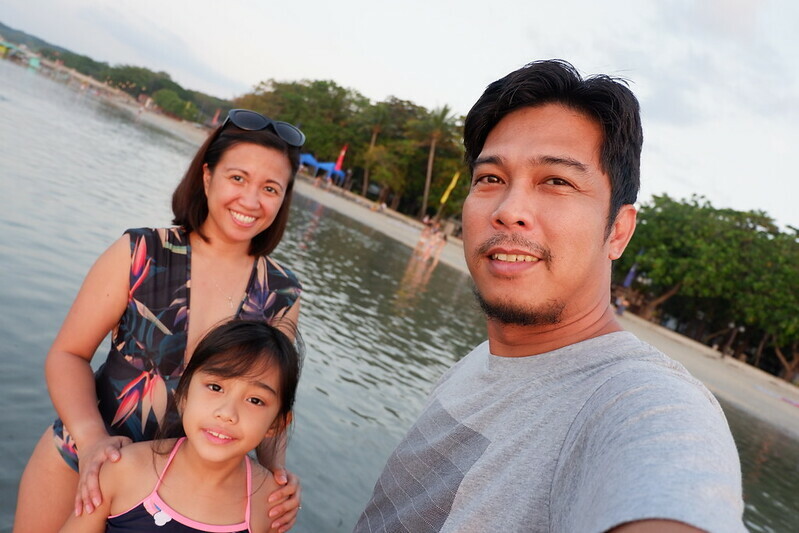 For the long weekend, we decided to go to Matabungkay Beach Hotel in Lian, Batangas again. I told you we’d be back. 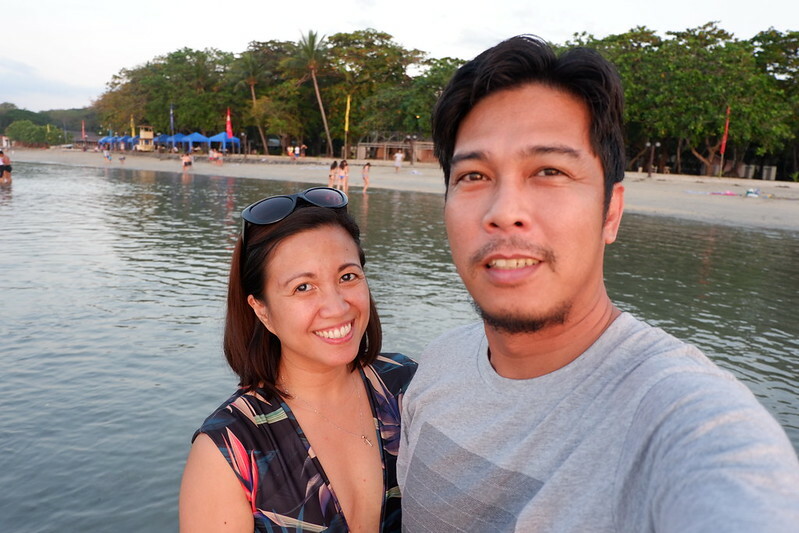 You can read about our first Matabungkay Beach Hotel experience here. 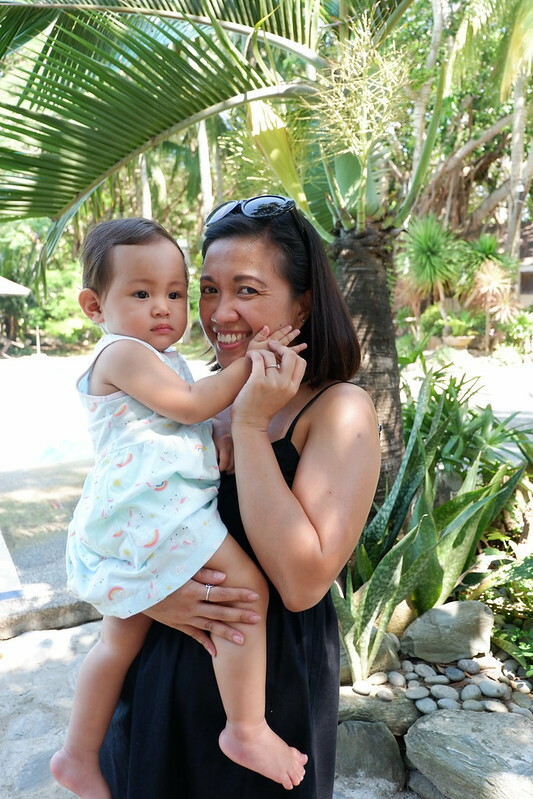 We chose Matabungkay Beach Hotel again this time because it’s less expensive than our usual go-to resort, Virgin Beach Resort. In Virgin Beach Resort kasi, it feels very private when you’re there. Even though they’re fully booked, parang walang tao. 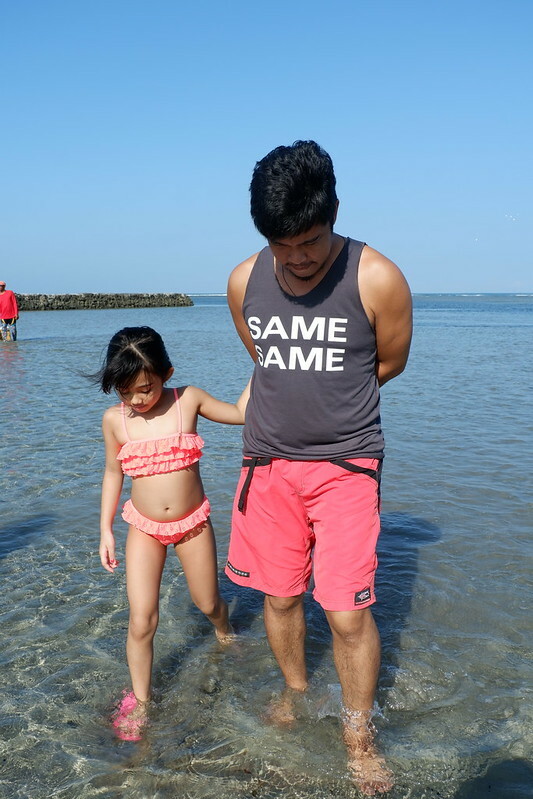 Maaliwalas sa beach. The resort has a nice beach front where you can relax. Masarap maligo sa beach. However, there’s no pool so beach forever ang peg. 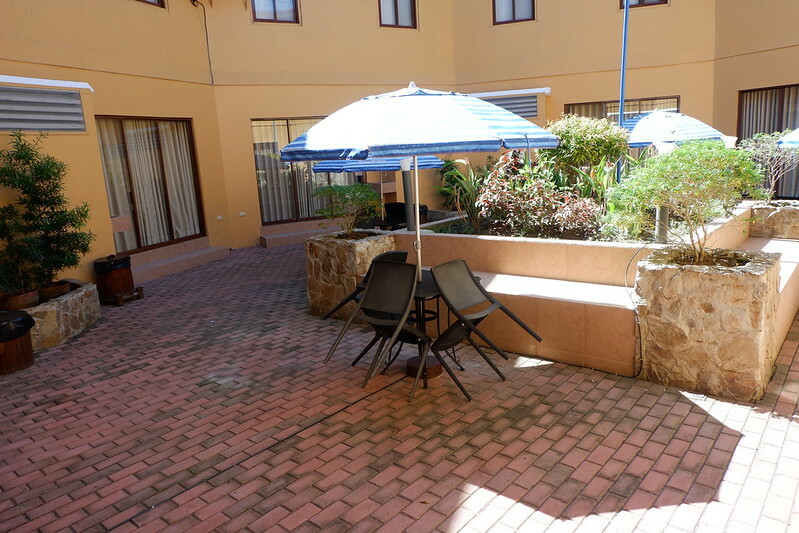 Food’s also great and the accommodation is okay but without a television. Yun lang, medyo pricey. 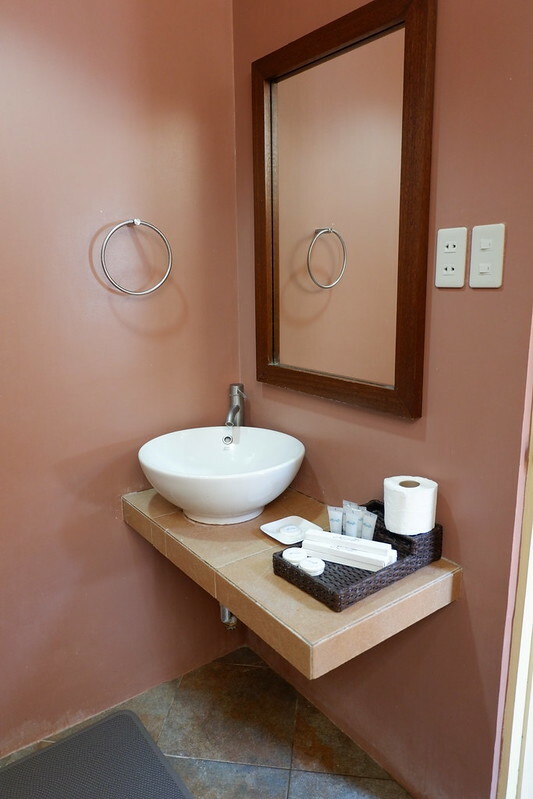 In Matabungkay Beach Resort naman, the accommodations are normal and presentable given that the resort is 30 years old already. There are 3 pools and the food’s good. Yun lang, madami talagang tao. 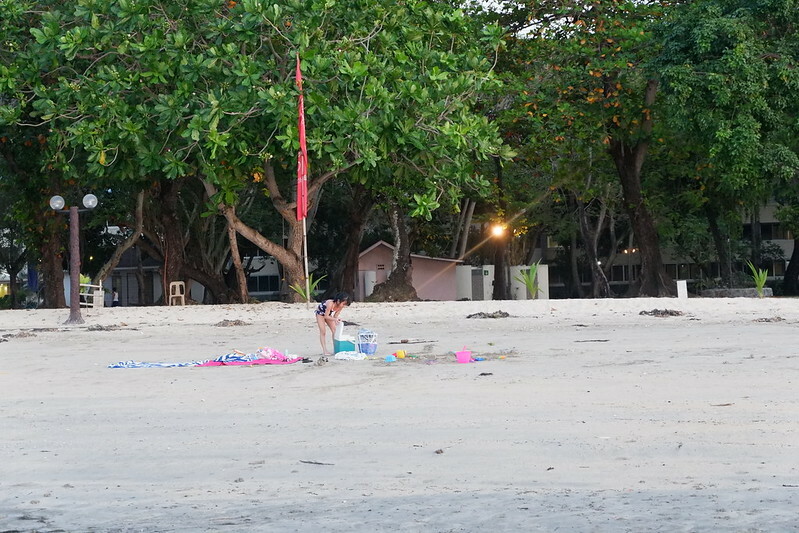 The beach isn’t that nice anymore when it’s low tide which starts like at around 11am until sunset na. 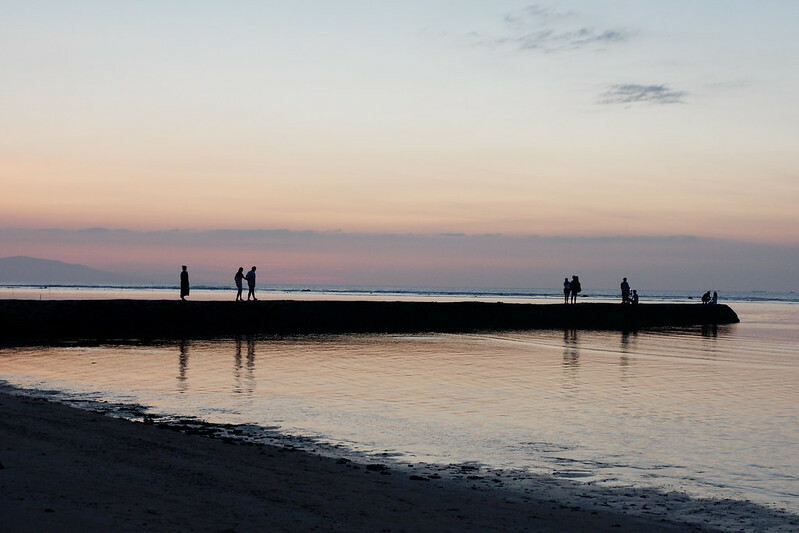 But this resort is affordable and it has the best sunset I have ever seen. Dun muna tayo ngayon sa affordable. We were initially booked at the Sunset Studio. It was Alvin, Anika, our trusty kasambahay and I lang supposedly. The Sunset Studio has a bunk bed, a double bed and a veranda. 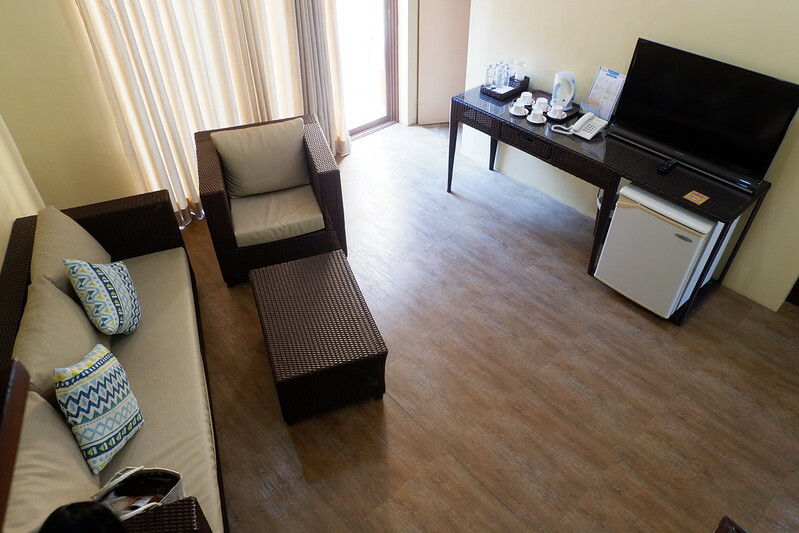 The rate for this room is Php 7,500 per night inclusive of breakfast. I think there was a promo when I booked because they gave me a 20% discount. A few days after booking, we asked Faye, LT and Isabel if they’d want to go with us. We were so happy they said yes! So I had to ask the resort if they can give me a bigger room. 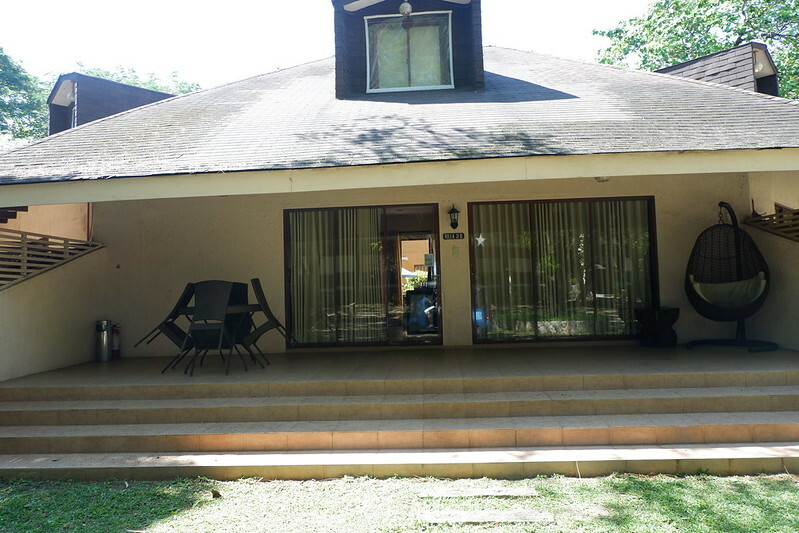 The only available room that they have for 5pax is the Beach Side Villa (Garden View) for Php 12,000 a night. I just added Php 500 for Anika for an extra bed (though we didn’t need it naman) and her breakfast. 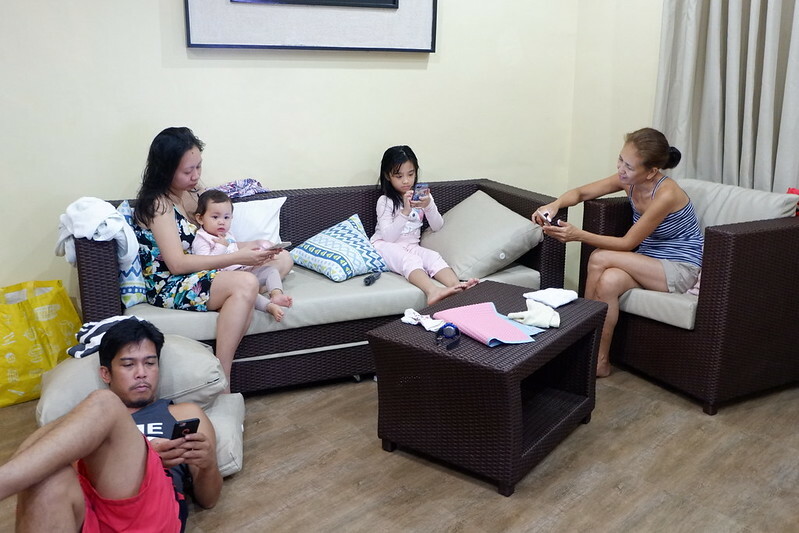 The 20% discount was still offered so we got the room for only Php 9,600 (plus yung kay Anika). It’s really a lot cheaper than Virgin Beach Resort. 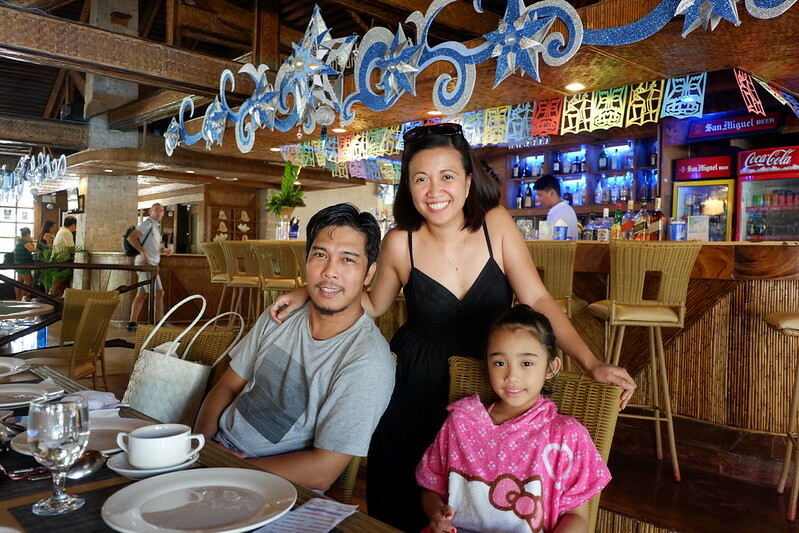 When Alvin, Anika and I go there, we spend Php 15,000 for just the 3 of us with food and accommodation. Dito, mga 12k lang with food and accommodations for 5 adults, 1 kid and 1 infant. Pwede na, right? So I’ll dump all the photos here ha? I took a lot! We left Manila around 8am. I wanted to be in the resort by 10am kaya I told them to fix breakfast baon at home na lang so we can eat in the car. Tamang tama, when Alvin stopped for gas, nilabas na namin yung mga baon. I packed rice with hotdogs in plastic containers for each of us. LT boiled hard boiled egs. Faye made sandwiches with kani and Japanese mayo as palaman. While we were all eating..
ALVIN: Nagtitipid ba tayo?! Bakit tayo dito sa kotse kumakain?! ME: Nagbaon lang, nagtitipid na agad?! Hindi ba pwede nagmamadali lang? ALVIN: Bakit hindi tayo kumain sa McDo?! ME: Wag na. Mas masaya ito. FAYE: Kami nga nina Ate dati nung nagpunta sa Paris, umakyat kami ng Eiffel Tower. Gusto namin kumain dun sa restaurant pero ang kinain na lang namin yung mga baon namin na tinapay. ME: Ay! Naalala ko yan! Kumakain tayo ng tinapay sa taas ng Eiffel tower! Hahaha! Ang mahal kasi dun sa restaurant dun! Pero masaya naman. ALVIN: Buti nga kayo may pa-Paris Paris pa eh. Kami sa sinehan may baon na tinapay dati! Para hindi na bumili ng popcorn. Di ba?! Wala kayo sa Lola ko!!!! 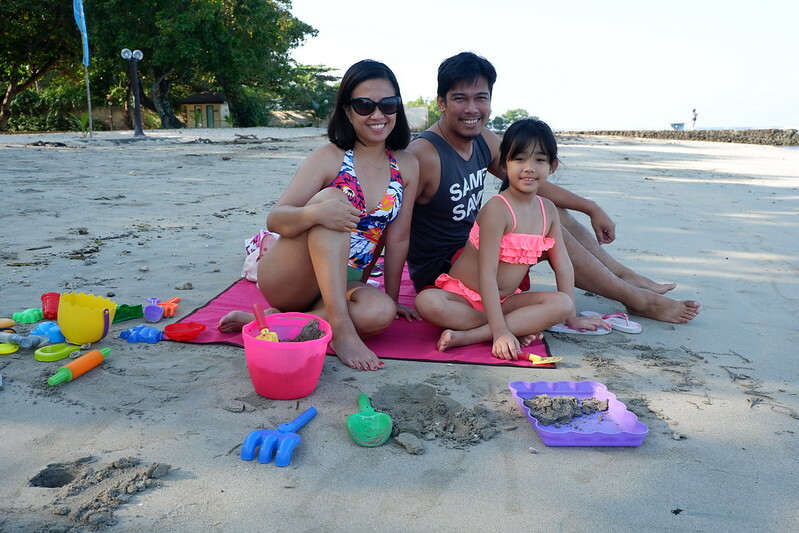 We went straight to Batangas after that short gasoline station stop. 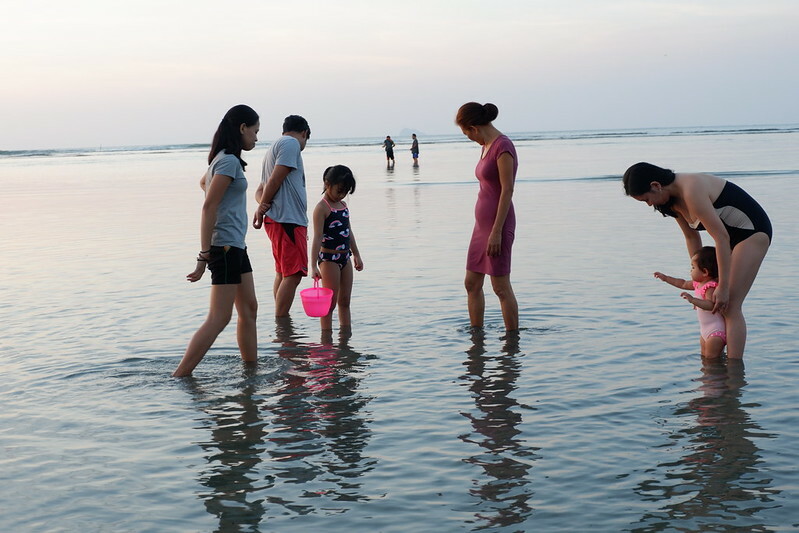 When you arrive in the resort, you will be transported back to that childhood summer when your folks brought you to this place. Parang they didn’t change in 30 years. We arrived around 11am. Check in was at 2pm but they told us that we can go inside na our rooms if the prior occupants leave early. 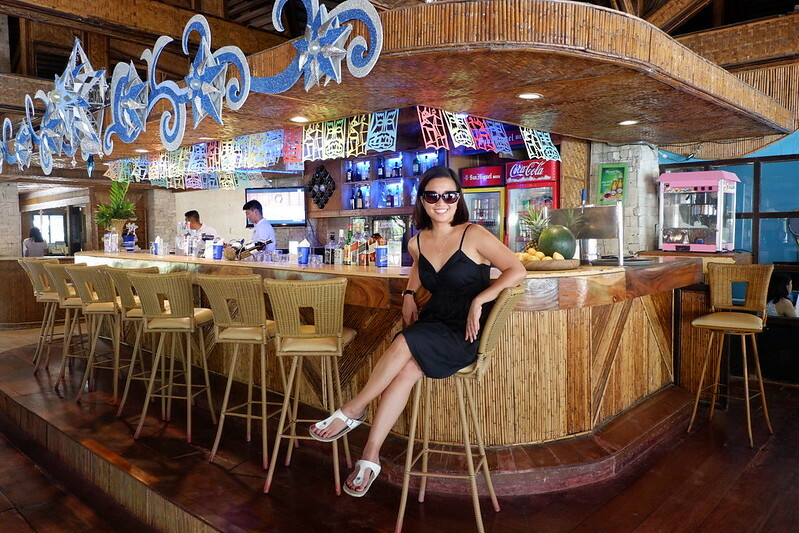 This is the restaurant bar. I wanted to go drinking with Alvin here sana that night bilang LT and Lyn were there to mind Anika. Kaso lang, borlogs forever ang peg ng lolo niyo that vacation. As in seriously, tulog lang siya the whole time. I drove from Manila to Batangas because he wanted to sleep. When we arrived, he slept. After dinner, nakahilata pa din. Ang fun fun niya kasama, grabe. Nagbabawi daw siya ng rest because sunod sunod ang puyat dun sa kakabantay sa bar niyang bago. Anyway, while waiting for our room to free up, we had halo-halo and lunch. Yup. In that order because life is short to follow all the rules. Hahaha. We ordered, Crispy Pata, Chopsuey, Sinigang na Bangus (sobrang daming tinik) and Yang Chow rice. We had a lot of left overs and we appreciate the restaurant staff because they agreed to keep the left over (there was a lot!) Chopsuey and Crispy Pata for us until dinner. Anika went swimming before the food arrived. Kaso lang, she cut her knee in the kiddie pool. May naka-usling tile or something. The first aid staff naman was very quick to take action. Nilagyan nila ng meds yung cut and Anika was up and about in no time. While waiting for the food, nagpictorial muna kami with Isabel. Here’s LT and Faye. I love these two so much. At around 1pm, we were told that we can go inside na our villa. A tuktuk took us to our room. Nagkasya kaming lahat dun sa tuktuk. This is the Beach Villa. This is the ground floor. It has a living room, small ref and a TV. The master’s bedroom is also in the ground floor. 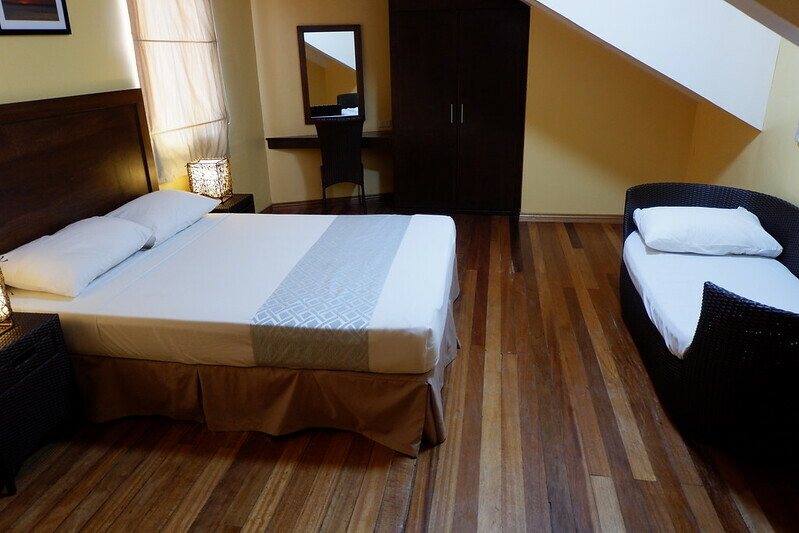 On the second floor, there’s a huge room with a double bed and a day bed. Anika claimed shotgun in the daybed. Ginawa niyang crib niya. 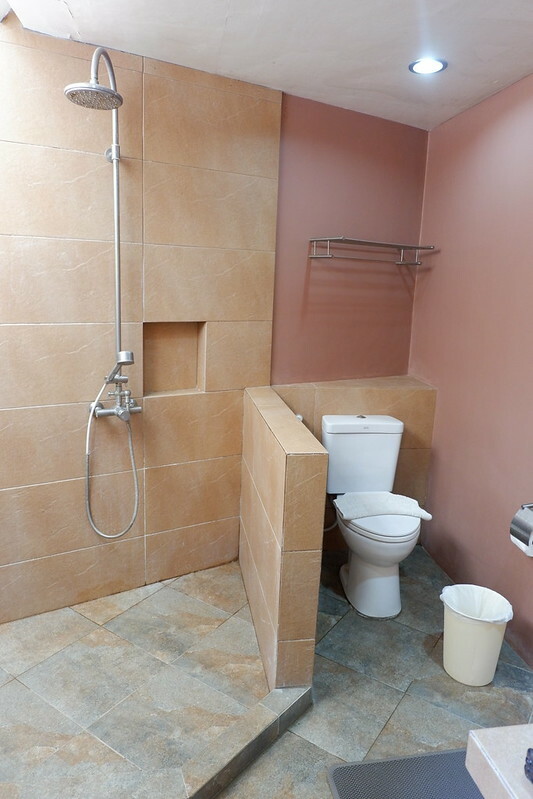 There was only one toilet and bath but it was big with hot and cold water. There was also a veranda outside. Okay ito na tambayan if madami kayo. We napped for a bit first para belong si Alvin sa amin. Hahaha! We woke up around 3:30 pm. Isabel had a slight fever so they rested first. Anika and I went to the pool to swim. Anika and I were in the pool. I was lounging and nagbabantay kay Anika. Anika was swimming. Medyo malalim yung water so I had to keep an eye on her. She was swimming along the perimeter where the shallow water where I was and the deep end of the pool meet. There was a guy standing dun sa perimeter. So Anika had to swim around him to get to the other side bilang gusto niya na mahahawakan agad yung edge in case she came up for air. She did this back and forth. I noticed the guy coaching Anika while she swam. Hindi naman siya pinapansin ng anak ko kasi “Do not talk to strangers” ang turo namin sa kanya. Hindi din siya pinapansin ni Anika basically because he was a boy. Magaling ang training ni Sombrero sa kanya. Dun ko lang napansin na ang ganda ng likod ni kuya. Muscles! Tapos kalbo. Tapos dark. Lumingon siya sa akin and smiled. I wanted to smile back kaso lang baka biglang sumulpot si Sombrero and mamisinterpret na nakiki-smile smile ako dito sa machong pogi na ito. Mabatukan pa ako sa harap ng madlang people. So I just hid behind my sunglasses and gave him a quick, tight smile back. Kunwari deadmadela dun kay kuyang macho. He continued to say things to Anika. Anika kept on swimming naman. The guy put on his goggles and swam away from us. I immediately went to Anika and asked him what he was saying to her. ANIKA: He said to breathe from my stomach. I looked to where the guy was na at the other side of the pool. Umahon. The guy went back to where we were after his lap. Naka-smile smile kasi I think natutuwa siya kay Anika. Deadma kami ulit mag-ina. Don’t get me wrong. Hindi naman siya serial killer / creepy type. Wala namang malice ang dating eh. Deadma kami mag-ina maki-chika chika kasi deep inside yan si Alvin, seloso yan. Atin atin na lang ha kasi never naman aamin si Robin Padilla na seloso siya especially sa dalawang babae sa buhay niya. Well, actually, kay Anika lang malamang sobrang selos yun. Dinamay ko lang sarili ko para cute. 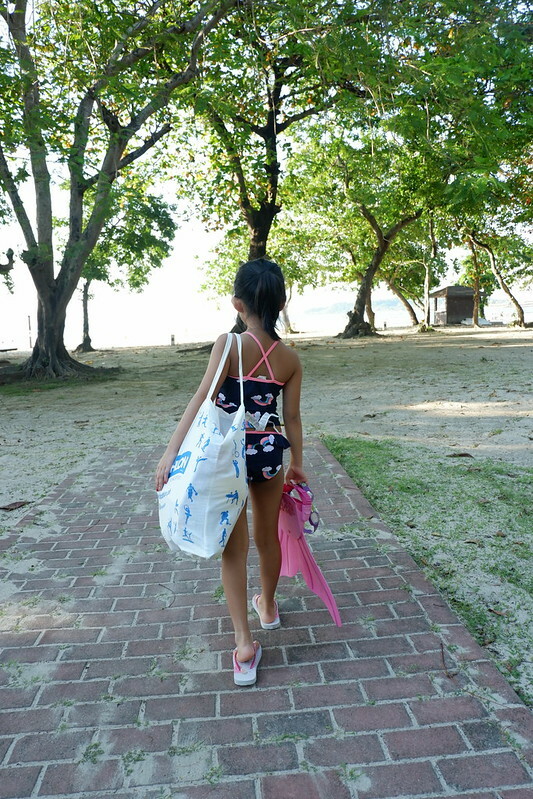 Anyway, around 5pm, we went back to the room to get Alvin so we can catch the sunset at the beach. And another round of pictorial began. 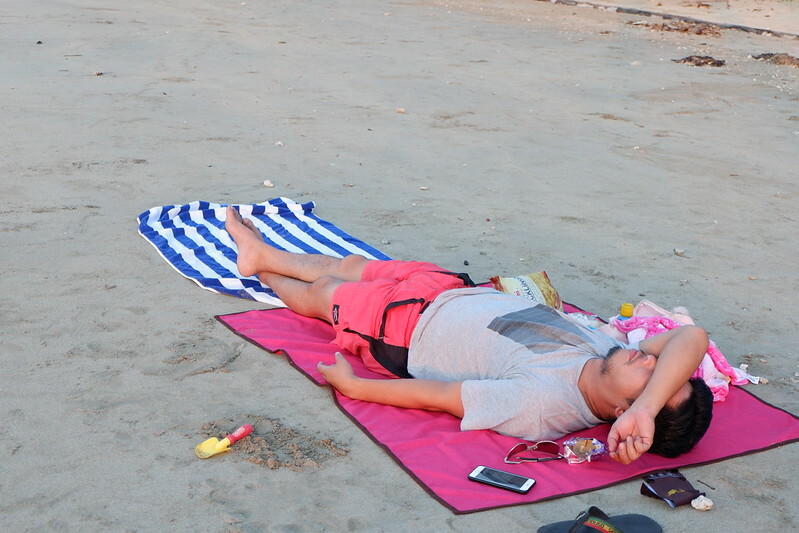 Hanggang sa beach, tulog pa din! Hahahahaha! … with our phones! Hahahaha! Joke lang. Kwentuhan naman kami after niyan and during dinner. At dinner, they re-heated our Crispy Pata and Chopsuey. I ordered additional Adobo and Lomi. Solved! The next day, we were up early so we can swim in the beach. Maganda kasi sa asthma ni Anika na makalanghap ng fresh air. The beach at Matabungkay Beach Hotel is nice early in the morning. The water’s clear and you can see small fishes swimming. Ang dami ding starfishes. Yun lang, more than one kilometer ka na from the shore, until the knees pa din ang depth ng water. Safe for kids, though. 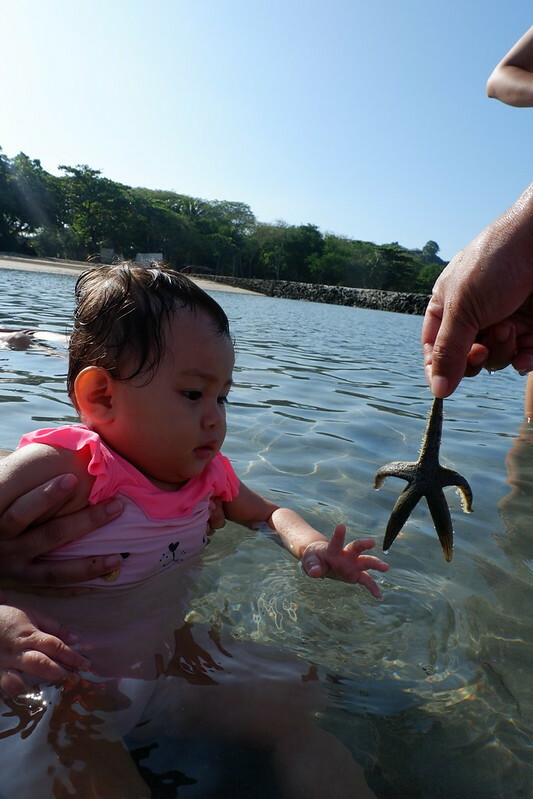 Isabel met Mr. Starfish for the first time. We checked out around 11am to go back to Manila. 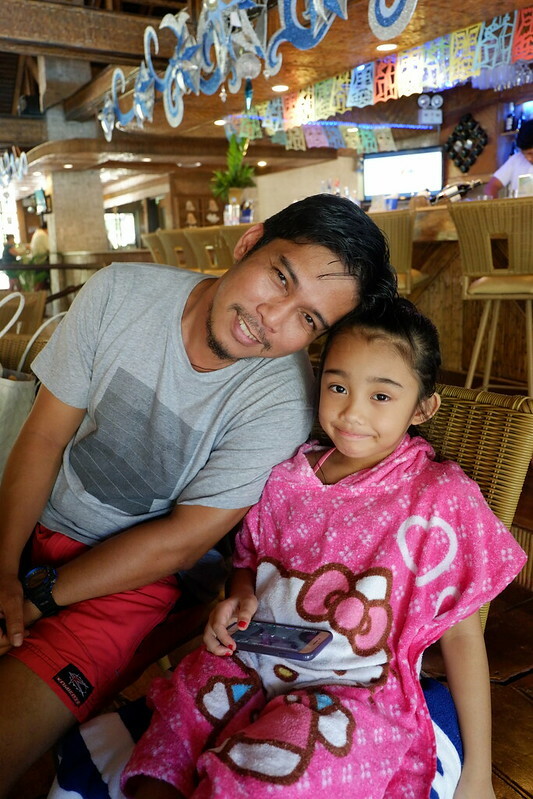 I like our second stay at Matabungkay Beach Hotel. Our room was nicer. We weren’t able to rent a balsa anymore and go fishing because we arrived late na. Wala na ang mga fishes nun. Okay lang because Anika was able to experience it already. bet ko yung swimsuit mo na may deep v-neck! san mo nabili? hehe! Maganda un area ng matabungkay beach resort pero pag lumagoas ka na dun medyo magulo and madumi na.. sana kaya din nila imaintain un beach nila, maganda pa naman kase mababaw un bandang harap pero pag lumayo ka na and di mo napansin e biglang drop un. Medyo scary. Haha. Thabks for sharing your experience here mommy!parang ang sarap ruloy bumalik pag may budget na..